Straight, beaded antennae, broad waistline, two pairs of wings – equal in size. A “swarm” is a dispersal flight of winged termites to start new colonies. 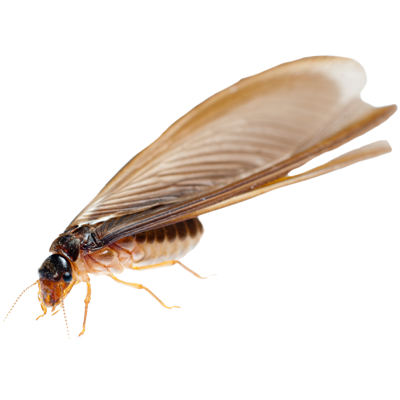 Termites have straight antennae, a thick waist and both pairs of wings same size. Ants and termites can look very similar. However, termites cause billions of dollars in damage each year. Learn the dangerous difference between ants and termites!